Top Easter Gift Ideas - The Best of The Best! Easter is a religious holiday which falls in the springtime but there is also plenty of fun to be had, especially when it comes to giving nice Easter presents. Spring is my favorite season of the year. In addition to it's religious significance, Easter is also the time of year to celebrate a new spring season and the renewal of life everywhere after surviving winter's big chill. It's also the time when grandparents, family and friends get to do some of their best gift-giving. Getting together to celebrate complete with the giving of gifts brings a warmth and togetherness to the family that lasts. When most people think of Easter, they think of Easter Baskets, egg hunts and candy like marshmallow chicks, hollow chocolate bunnies, so giving your family sweet treats and gourmet chocolates can be a great way to show you care. But there's so many more great gift ideas for Easter than simply candy. Presented below are several resources to help you find the right Easter gift for the people in your life. Easter is getting closer by the day now! I have always loved celebrating Easter with the family and loved ones around. Show off your Easter Pride with this Easter with our Personalized Happy Easter Shirt. Easter falls in the spring season here, and that's the season of warmer weather in most locales. So, the whole family can change into new personalized casual Easter wear after Easter church services on Easter Sunday. T-shirts are one the most popular pieces of clothing on the planet. Worn by both men and women from Argentina to Zimbabwe. There just aren't many cultures where the T-shirt is not a staple. Believe it or not t-shirts were originally invented as an undergarment, my how they have evolved over time. Now-a-days, t-shirts are extremely popular with the kids who wear them as fashion statement of choice.The fact that the T-shirt's are so versatile is the reason why they have stayed so fashionable for years. People enjoy getting customized t-shirts because they add that personalized touch to holidays like Easter and Christmas. It's a thoughtful gift idea not only for the youngsters who love wearing cool t-shirts and sweatshirts. Today nobody's clothes closet is complete without a plethora of trendy looking T-shirts to from which grab when the occasion arises. Wearing funky t-shirts to celebrate special occasions and holidays like Easter gives us that fun, festive look. Easter Day 2014 is celebrated kind of late this year. It's on the 3rd Sunday in April compared to last year which saw Easter fall on the last day of March. See, Easter marks the end of Lent, a forty-day period of fasting, prayer, and penance by Christians, hence Easter celebration does not fall on a fixed date on the calendar. The date of Easter is the first Sunday after the full moon following the northern hemisphere's vernal equinox. 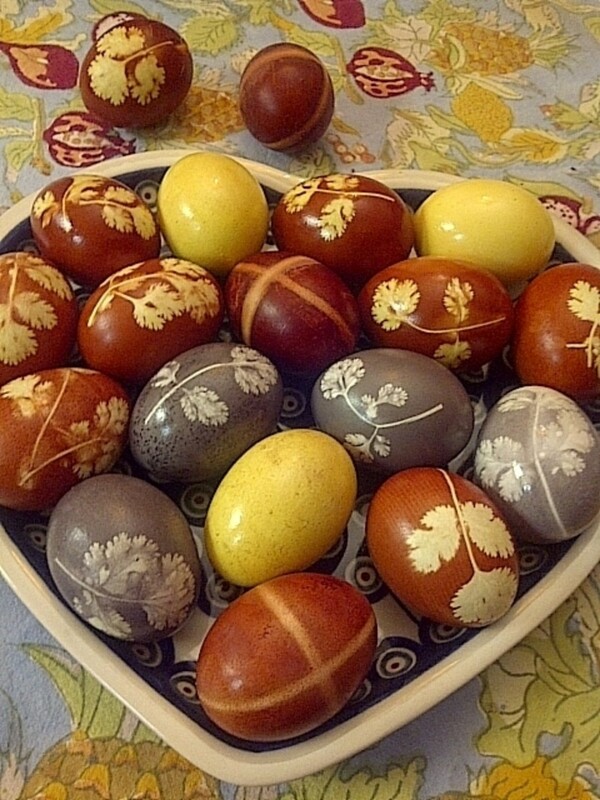 The date of Easter therefore varies between March 22 and April 25 from year to year. OK, no wonder we must look it up each year! What day does Easter Sunday fall on in 2014? Easter Day 2014 is on Sunday, the 20th of April. Easter baskets are a popular gift for both kids and grown-ups. If you've got some families coming over for Easter, a nice gift basket can be the perfect present to give them. Themed baskets are awesome because everyone enjoys them. Easter gifts are typically fun and usually full of spring colors and always delicious. This classic white wicker Easter basket is home to a super soft and cuddly 8" plush bunny, stuffed animal. The bunny is surround the with quintessential Easter sweets which are sure to make the recipient happy on Easter morning. What Classic Easter Bunny Gift Basket would be complete without peeps, a chocolate bunny and even some colorful Easter eggs so they can hide their candy? This is our best selling Easter gift basket it is guaranteed to delight and be remembered long after the candy disappears. Easter Sunday is one of the most celebrated annual holidays for the the worlds Christians. Easter is a time for families and kids to gather together with grandparents, aunts, uncles, and cousins for a joyous occasion. 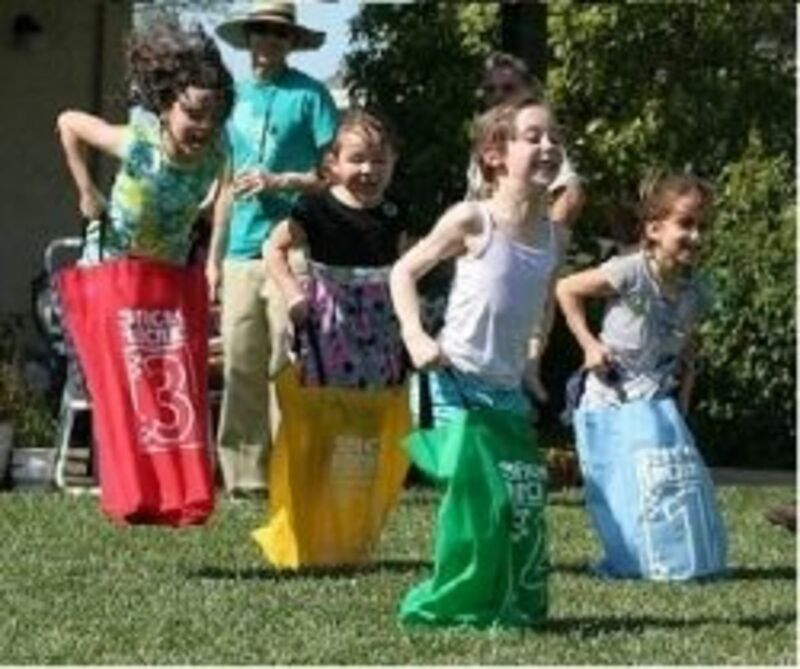 This typically means an Easter Egg Hunt, and surprise gifts for the kids. But what do you get the kids for Easter? As always set yourself a budget and then take into consideration the kids personality and go from there. Stop by our popular gift guide featuring the top Gift Ideas for Kids. These Easter Bunny Baskets are quite possibly the cutest Easter Baskets ever. Featuring adorable embroidered facial details and some with floppy ears in yellow, pretty pink or blue, complete of course with the white cottontail. These personalized bunny baskets are sure to brighten the kids Easter holiday! Personalized Easter Bunny Baskets are the perfect accessory for your little ones as they search for painted eggs and Easter candy! Each bunny basket is personalized with the childs name embroidered across the front. Unlike Easter Baskets, our Easter Bunny Baskets are quality constructed, making them durable enough for many years of Easter egg hunts. For lots of us decorating, the outside of the house is even more fun than fussing around with indoor Easter décor, we'll let that to our other half! There are a ton of cool outdoor decorations for Easter. Some stuff, like personalized doormats that welcome Easter time guests, cute flags or banners for the lawn or garden can be found to decorate outside. Easter is the perfect time to make your homes entrance even more welcoming and it is so easy to do. Just use your creativity and put together your own outdoor theme. You can hang eggs from your tree or put one of those giant inflatable bunnies in the yard. Or you may prefer to stick with a more religious theme that more closely reflects your beliefs of this holiday. For those of of us that like to celebrate, Easter is one of those special occasions like Christmas when we decorate the house inside and out with the finest decorations we've got because the whole family is coming over for Easter festivities, and we want the place to look great. Your hosting an Easter egg hunt, lunch and then a big Easter Feast featuring the traditional buns, simnel cakes and of course roasted lamb or a ham. The best Easter parties stick with the Easter theme right down to the napkins on the table. If you are looking for a great Easter gift idea then an Easter themed photo frame is a thoughtful Easter present for a family member or loved one. 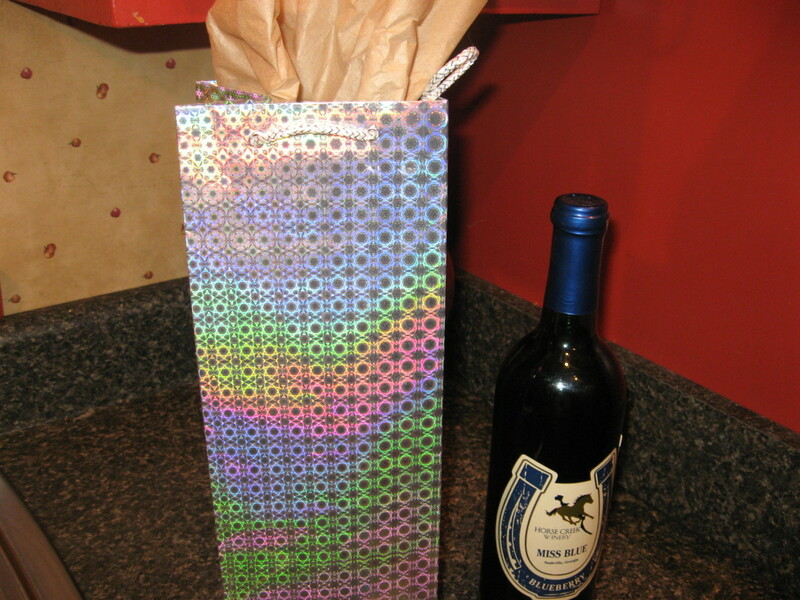 but this Easter custom personalization can make this gift even more fantastic. by gifting a print in a personalized Easter themed frame is a perfect chance to show your loved ones know just how much you care for them. After the holiday is over, the Easter picture frames can be carefully stored with the rest of the Easter Decorations and retrieved next Easter for annual display. Just as sweet as can be, an Easter Candy Dish is perfect for filling with the colorful candies and festive Easter treats. Every home celebrating Easter needs a special Easter Candy dish. The right Easter Candy Dish is destined to become one of those annual family favorites that you drag out before Easter. Bunny Candy Dish to your Easter decorations or give it as a special gift for a touch of Easter fun. Great gift or decoration for the home. Serve sweet treats in these absolutely adorable and detailed candy dishes. rtfully crafted from stone resin for a "carved wood" look featuring detailed, soft spring colors and a distinctive country charm that's ideal for Easter. Jim Shore's collection of Easter figurines is a delightful combination of Easter decorations reminiscent of a day gone by. This Easter baskets and decorations featured below are Jim Shore Heartwood Creek collectibles. These delicious Oreo Cookies are a sweet token for those of all ages! Your cookies are wrapped in your choice of decadently delicious fine gourmet Belgian Chocolates - dark, milk or white - and decorated with hand-crafted Royal Icing Bunnies and Easter Eggs and assorted Easter Candy Sprinkles. Each cookie is tucked inside a clear cellophane bag, and heat-sealed at both ends for freshness and quality. What a perfectly delicious gift! Send a Box of 9 Easter Chocolate Dipped and Decorated Oreos to family and friends for Easter - this box of nine is perfect for sharing - especially over some tall glasses of ice-cold milk! These cookies are sure to bring the Luck 'o the Irish! Go ahead and have a couple cookies - they're yummy! 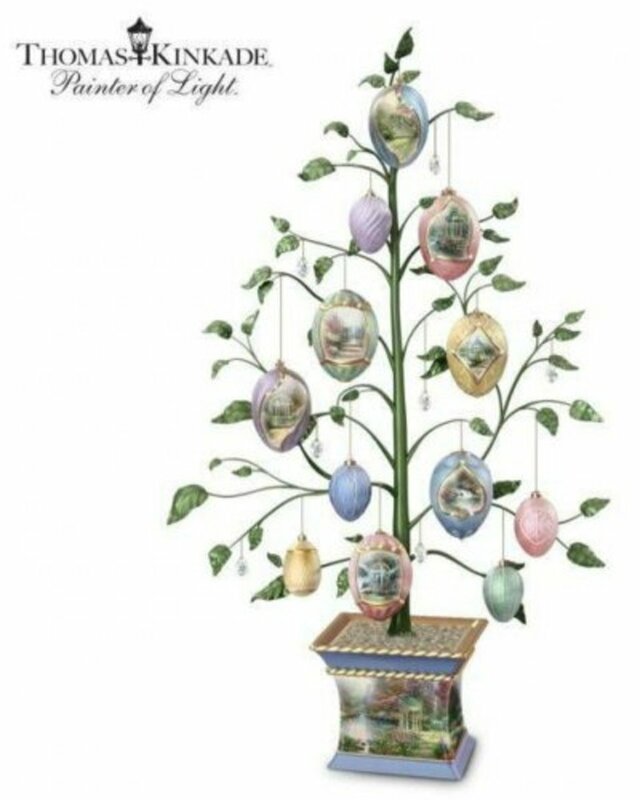 Feel like adding some Easter cheer to the house this spring? Well, there are many of ways to accomplish that for example, you can have the traditional decorations in your home, but nothing reflects the spirit of Easter better than those of lovely Easter figurines. Figurines are one of those gifts that never seems to go out of style. Many people collect figurines too and a new addition to a treasured collection is always a welcomed present indeed. Figurines will be treasured for a lifetime and even passed down to future generations to enjoy. Easter is known for bunny and basket figurines everything from unique vintage style folk art to the trendy personalized decorations that are so popular nowadays. On the other hand religious figurines are great to give as gifts for Easter, because they help both you and the gift recipients remember what the holiday is all about. The Easter holiday is a wonderful time of year. Marked by warmer temperatures, weather permitting Easter holiday festivities are often spent outdoors with family and friends. Every girl appreciates a nice piece of jewelry. Whether it's diamonds that sparkle, or personalized pieces, you'll definitely be able to find a piece of jewelry that will make her smile this Easter holiday. Nowadays, there are more jewelry choices than ever. Women's and men's jewelry for Easter is now available in platinum, titanium, rhodium, pewter as well as the traditional gold and silver. Jewelry is a top choice for Easter gifts and rightfully so. Jewelry is a gift from the heart. For most folks even the thought of jewelry represents something precious, sparkly and beautiful. Women love jewelry, it makes them happy. Jewelry is a favorite no matter when it is given, but it is especially treasured as a gift. Here are a few of this season's hottest jewelry trends for spring and Easter. 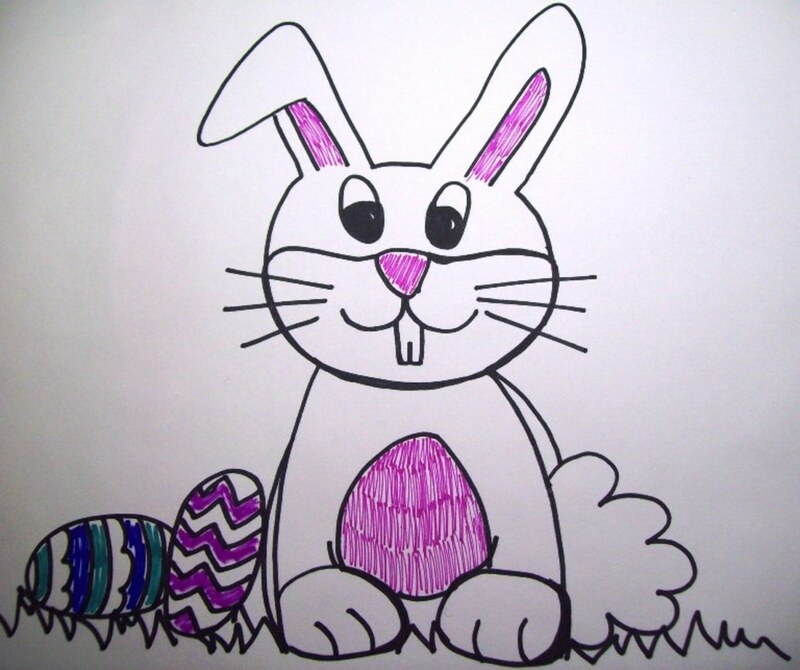 Best Easter Gift Ideas Visitor Poll - Help us improve this Easter guide in the future! Every Easter the candy industry produces some 90 million chocolate bunnies. I start on the bunnies ears of course! First I bite off his cotton tail silly! Being a foot person, I go straight for the feet! A nibble on bunnies nose first. It's Easter for Barbie and what does that bring? Surprises and fun and the flowers of spring! Bright colored clothes, a rabbit or two. The cutests of birds and great times for you. Inside package: Carefully punch out Ms. Chick and Mr. Bunny, matching clothes, baskets, and base stand. Dress up your own Easter friends! 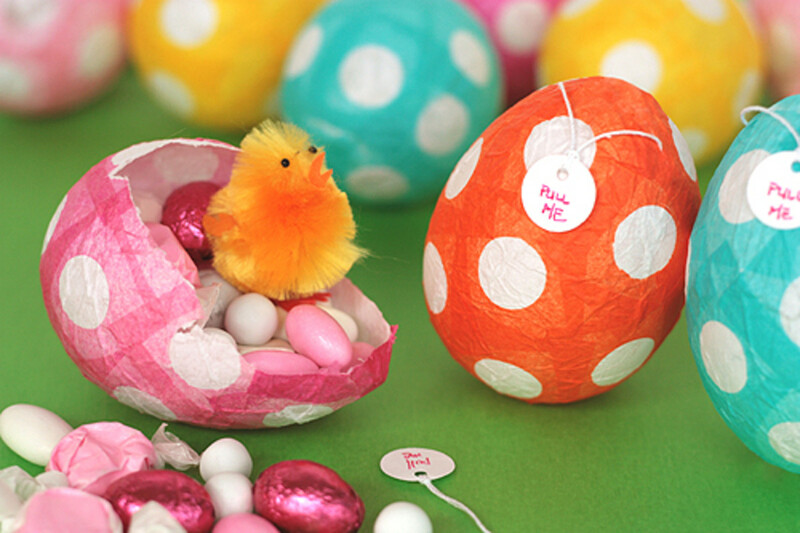 Perfect for Easter party decorations! andy and Easter go together like the 4th of July and apple pie! Easter Sunday is of course an important religious holiday, but it is also important for companies in the candy business. Chocolate Easter eggs filled with caramel or creme and chocolate Easter bunnies are some of the candies that are popular at Easter time. For some, Easter is all about the Easter Bunny that visits in the night, leaving candy and colorful eggs gifts for the children. Here are some gourmet edible Easter treats for those on you gift list. The first few years of an infants life are packed with milestones, laughter and surprises, so everybody wants to celebrate the little bundle of joy's first Easter Sunday with an adorable Easter Present. It's baby's first Easter or at least one of the first few and your looking for a nice gift for Easter which is coming up just around the corner. Whether you are a proud Aunt or an excited Gran P, the first Easter gift that you buy for baby is one of the most important. Baby's First Easter is a momentous occasion that happens only once in a lifetime. The Top 10 Best Easter Gifts List - Which in your opinion, are the best Easter gifts for 2014? e are pleased to present, The 2014 top Easter gifts! Along with the help of our readers we have selected literally hundreds of Easter gift ideas including gifts for babies and toddlers, boys and girls, teens, tech geeks, video gamers, football fans and more. The products and sponsors that we have selected are highly rated by consumer parents. Best of all it's all packed onto one really big, easy-shop web page! The Top 10 Easter Gifts 2014!!! This best of the best Easter Gift List serves as a guide for shoppers this year. Lot's of folks have been voting for the best Easter Gift Ideas and adding new ones, below are the current standings. Rock the vote, it's quick, and easy. Your vote counts. Something missing? SUBMISSIONS ARE WELCOME and encouraged! Add a gift you feel should be on the Best Easter gifts for 2014 list, just click "add to this list" below and get it up there for everyone to vote on!!! here you have it - ten of the most popular Gifts for Easter 2014. If you have any other ideas, leave a comment below and share your thoughts. should be featured on our Gifts for Easter shopping guide, I'm always looking for the latest and greatest gift ideas. Also, a special thanks for shopping here. I appreciate it very much, you're awesome. Please do me a HUGE favor and help get the word out about this page. Simply click on the Twitter, G+ or Facebook "Like" button at the top of this page and share this resource with friends and family. © 2010-2014 Flowski. All rights Reserved. This work is licensed under a Creative Commons Attribution-Noncommercial-No Derivative Works 3.0 United States License. Commercial reproduction of this Easter Gift Ideas Squidoo Lens in part, or in whole without written permission is prohibited by law. Images in this gift guide are either product images supplied by partner merchants for affiliate use or are stock photos purchased from Fotolia and are copyright protected DO NOT COPY THE PICTURES. Guestbook & Comments - We sincerely enjoy reading your comments! actually this is simply great. Hey there, I saw you wrote you are always looking for new gift ideas. Since I just got done buying for christmas I am now looking for easter gifts and came across your lens. I got a faith box off of amazon for christmas and thought it would also make a good easter gift. I think your readers would appreciate the uniqueness and personalization of the faith box. Anyway.... Happy new year. I love Easter! While I can't say it's my favorite holiday, I do love it and what it represents. Thanks for your wonderful lens! Great Easter gift ideas! Thanks for the share. Great selections of gifts. I really liked the Lego easter bunny. Is there anything Lego isn't into these days? Great lens. Lots of good ideas. The personalized Easter Bunny basket is adorable! By far the best! Wonderful selection of Easter gifts! Wonderful selection of Easter gifts and collector's items! I really liked your choose! These are really lovely. I have not thought of Easter yet. Great selection. :) Given me inspiration that I definitely needed considering the fact that I haven't bought any Easter presents yet! Your lenses are so beautiful and you have some great Easter Gift Ideas here. The gift ideas information given in this post on the topic is very much effective and one can implement on it very easily. Thanks for this great post. Cute ideas. I didn't know there was an Easter Barbie. Learned something new! Congratulations on being chose one of the Best of Squidoo 2012 Easter Gift Ideas. The oreos do look delicious and I haven't yet seen them, but think my choice of all would be the Faberge eggs. Happy Easter and Easter Blessings. This is a great lens and very helpful information..Thanks for sharing Easter gift ideas..Cheers!